to replace my rear bumper. 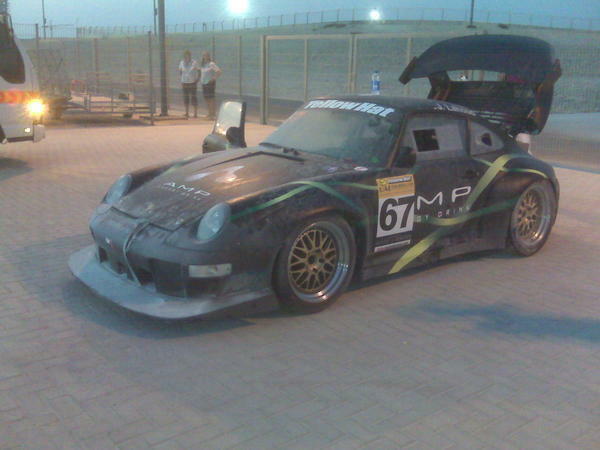 The car is a N/A 964 with headers and a free flowing muffler setup. One option is to extend the exhaust tips out longer, but I have seen plenty of 964s including RS Americas without this issue, using tips that extend just past the bumper. As good as the motor runs it's hard to believe this could be a defect in that department, but it has me asking the question. What could be causing this? Non combusted fuel that ignites on the exhaust heat. Common on all the way to 993 model and if you're unlucky, you can get a fire in the rear. What cats are you running? None? I'm not running cats. Each bank of cylinders has about 32" of exhaust pipe post headers. The rear bumper catching fire/melting can be caused by the actual exhaust pipes getting too hot. I think if you speak with someone like Geoffrey or some other guy who've got good experience, they could provide you with a solution that maintains the power and parts that are available in the U.S. I used to shoot 6' of flame. It was a setting in my EFI (minimum injector time open) but we fixed it. My solution was to run a short elbow straight out the back. No muffler. The turbo makes a great muffler. The wastegate is where the noise comes from. I run a little porsche muffler on the wastegate only. It's a nice look. Strictly business. Porsche put an aluminum(?) liner around the exhaust cutout on cars like the 964 Carrera Cups, Euro Cups and likely some other models. My 993 C2S also had this "liner" (I'm sure some other 993s do also). I have never seen a bumper melted on a car with this liner, unless it was a modified Turbo. Flames are also known to emit whey you grenade the motor and the oil catches fire. People comment on my flames at the track too, big blue ones with a lot of anger, not those lazy orange ones. If you are running with an aftermarket computer make sure there is a fuel cut when conditions are met (closed throttle over X RPM) or you will be dumping fuel into the exhaust. I was surprised to see my 964 shoot flames when I watched it on the dyno. I think I will start with adding lenght to the tips, that will give me the confidence to go forward with painting the new bumper. Are you running with the stock computer? I have the stock chip in my car, I suppose it could have a fault. dont the 964s have the idle switch on the TB? usually that cuts off fuel off idle or off throttle, right? Im real rich, and still dont fire any flames. (ive disabled my off throttle fuel cut off switch as well) could be due to the length of the exhaust system and the temp at the rear of the car. a lot of 911s, especially turbos will be flame throwers. (rx7s as well). Probably best to just mae the pipe longer as you suggested. I run Vitesse chips. They do maintain the stock fuel cut on off throttle. 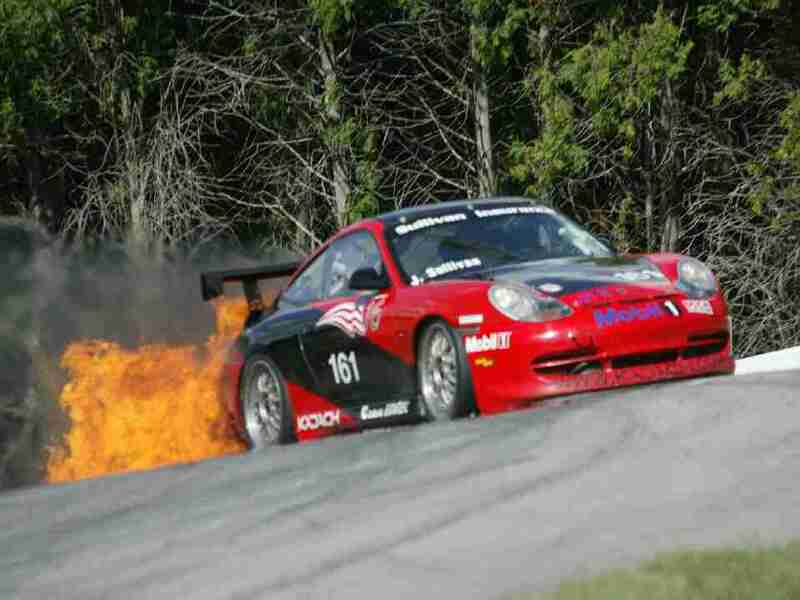 Even stock and with Weltmeister hips I shot flames when I was running hard. My thinking is that prolonged high load running creates a buildup of hydrocarbons on the walls of the exhaust. Remember that at high engine load AFRs are in the 11-12:1 range making the limiting reactant oxygen. When the throttle is lifted the mixture has an excess of O2 and probably a few good lean pops to ignite the buildup or just the heat of the exhaust may do it. I would extend your tips, try a different angle of outlet and put some metal heat shields on the bumper and exhaust. McMaster Carr has 321 stainless foil in .003 thick and 20" wide sheets. I used some on my exhaust and it works great, just watch out for cuts. The stuff is sharp. When the engine is running hard, the fuel is running hard. When you lift, the electronic signal shuts the fuel off, but the fuel itself has mechanical momentum and keeps coming until it runs out of momentum. Remember that at high engine load AFRs are in the 11-12:1 range making the limiting reactant oxygen. Umm, NO! Not on the 964.